2019 is creeping up on us quickly, and we couldn’t be more excited. 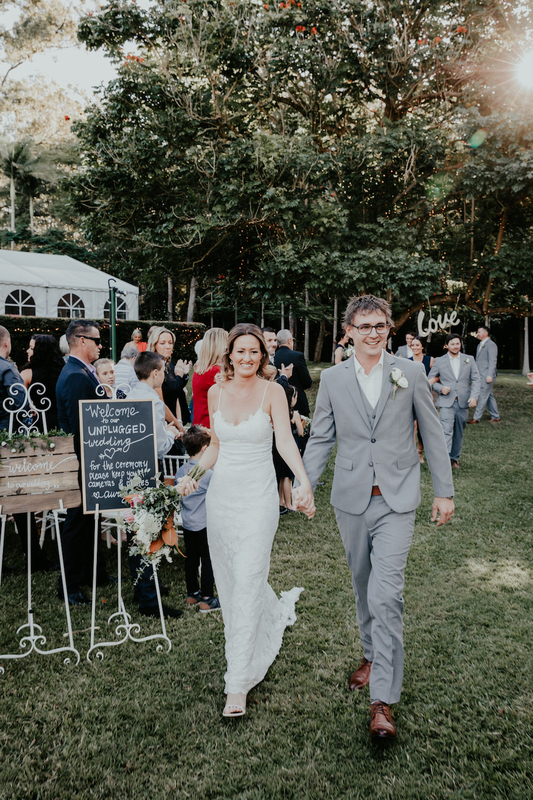 We saw so many beautiful weddings in 2018, and are already looking forward to a busy 2019 filled with stunning celebrations at our hinterland wedding venue. 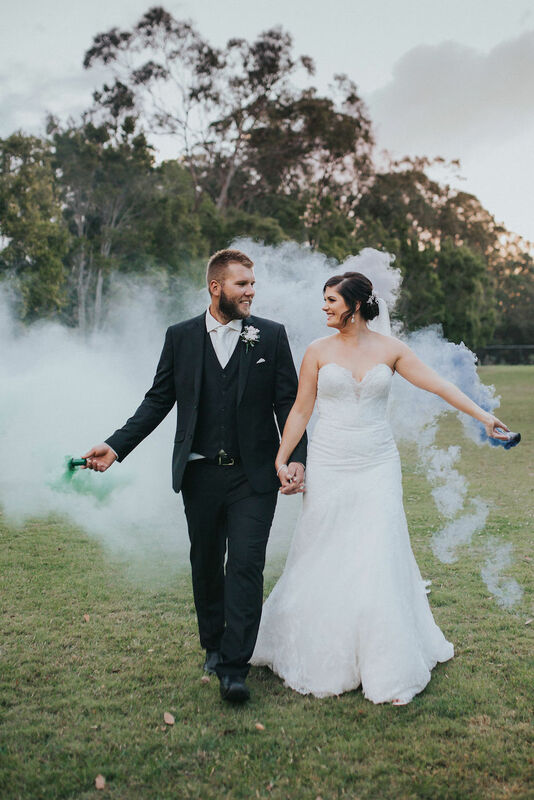 We know how hard it can be trying to find inspiration for the big day, so we wanted to round up our top 5 wedding trends for 2019, based on what our Coolibah Downs couples have been loving in recent months. 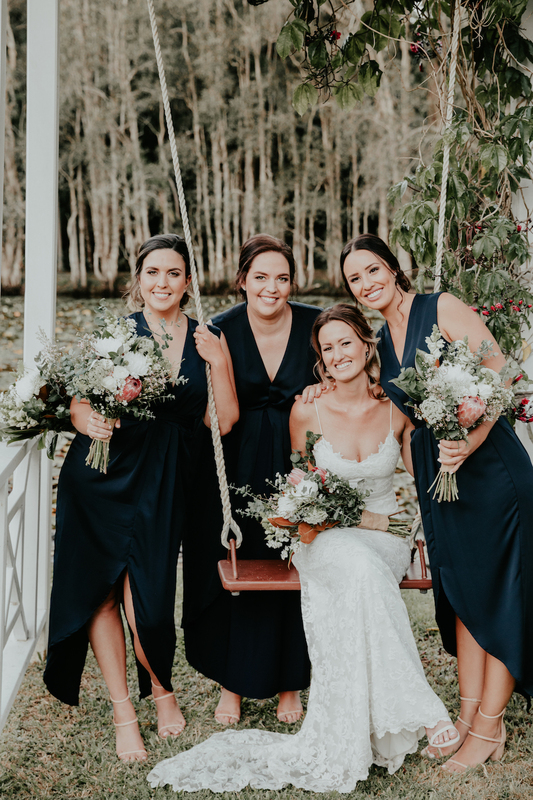 Keep reading for our top trend picks and some visual inspiration to get you started with planning your own 2019 wedding on the Gold Coast! 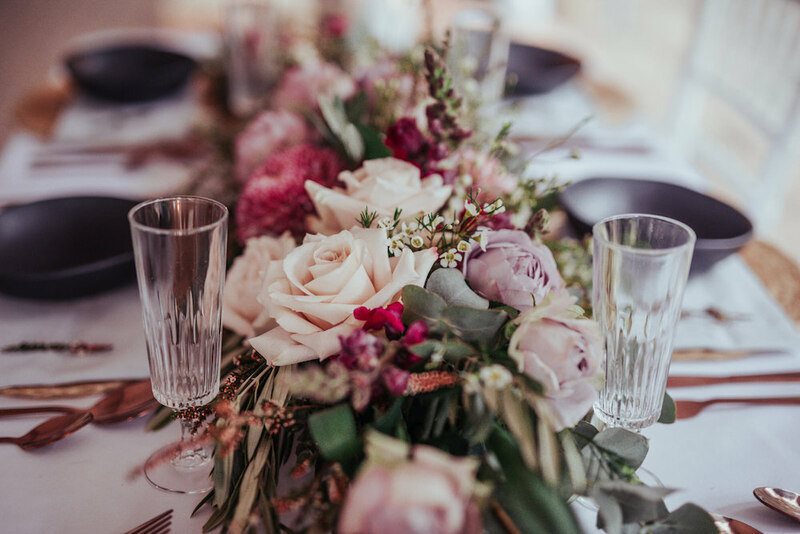 When it comes to colour palettes, we’ve noticed a switch to deep, moody tones like burgundy, plum, charcoal and even black mixed with soft pastel shades of blush and pale pinks. 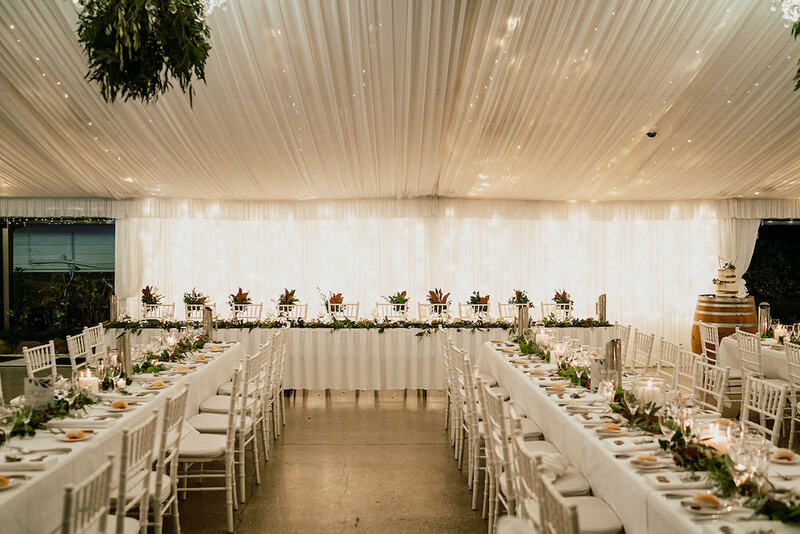 Personally, we’re loving this bold contrast between light and dark, particularly when tied together with lots of lush greenery and foliage! 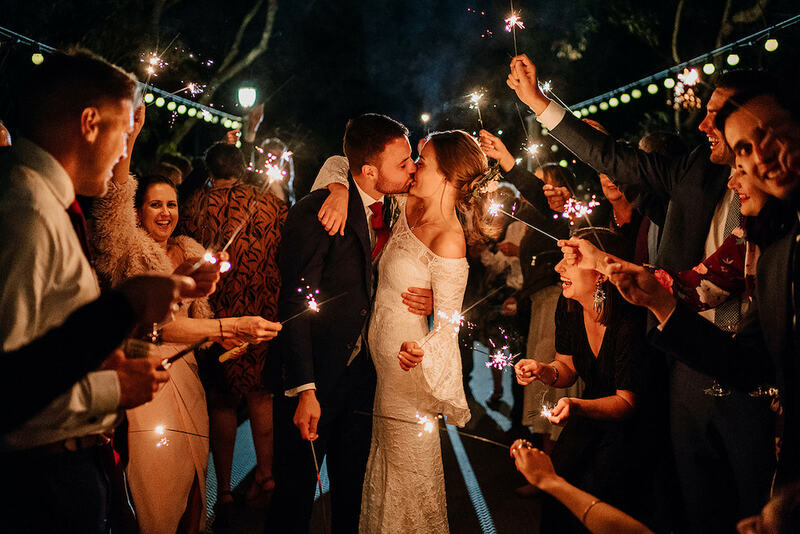 Your wedding is one of the most special days of your entire life, so why not take some fun-filled photos to remember it by! 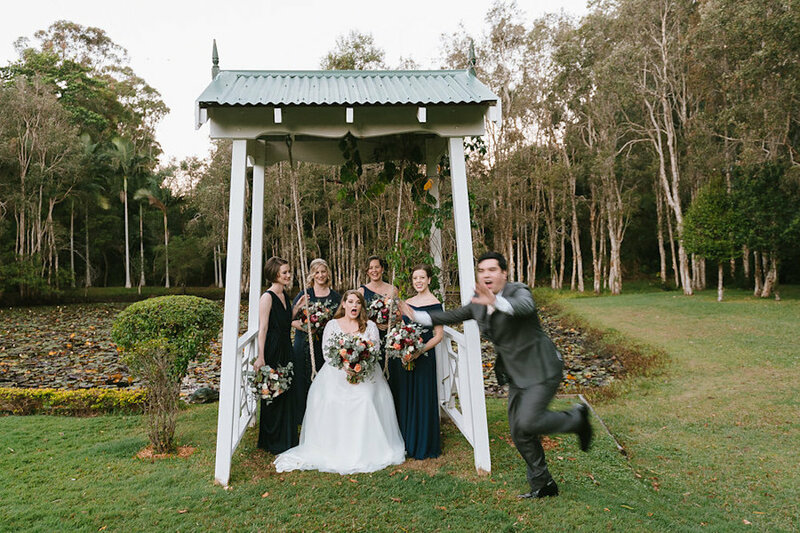 We’ve loved seeing our couples and their bridal parties really get cheeky and creative with their photo opportunities. 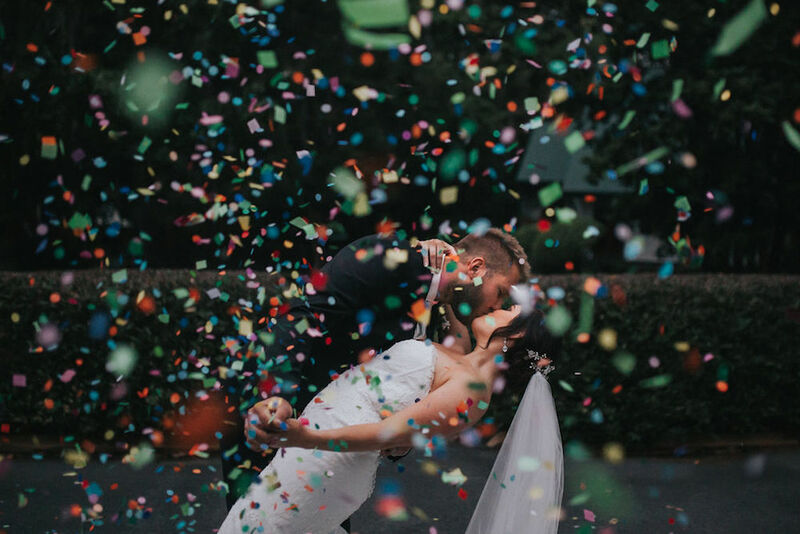 In 2019, we’re expecting to see more unique photo captures – from smoke bombs to colourful confetti, sparklers, and hilarious poses from the wedding party (with groomsmen seeming to be the biggest culprits!). We say, let your hair down and allow your photographer to really capture your personalities on this milestone day. 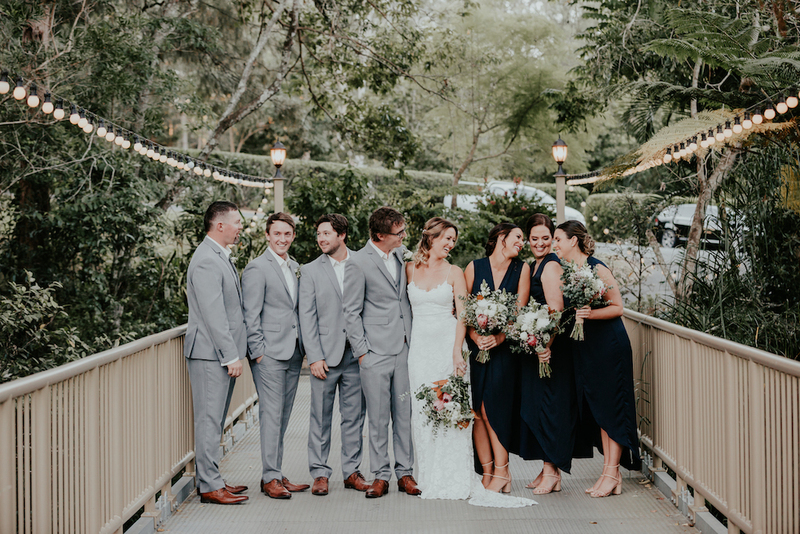 The boho trend isn’t going anywhere, but we’re also seeing couples putting a more elegant spin on rustic/boho styling with luxe details like calligraphy, gold accents and stunning florals. To achieve the perfect boho-luxe look, play around with mixing different colours, textures and materials. 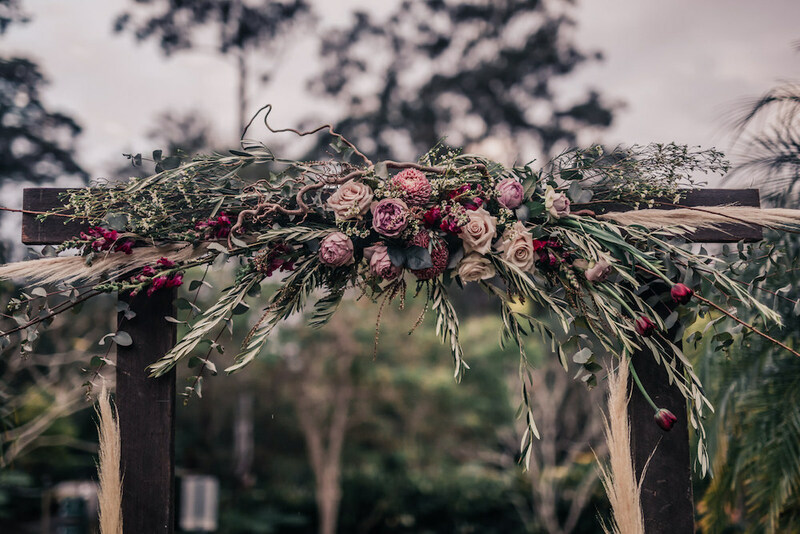 Lots of layered textiles, beautiful wildflowers and moody tones are also ideal to achieve this on-trend wedding style! 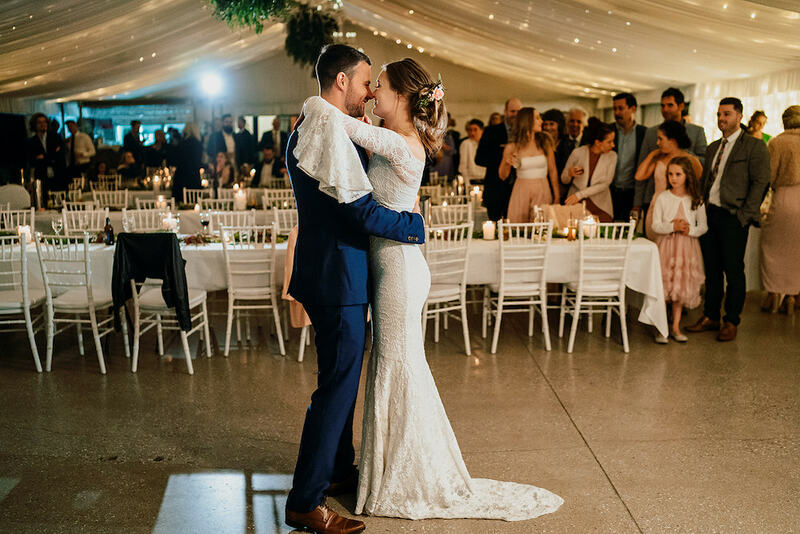 Weddings are all about coming together and joining families, which is why we’re expecting to see more couples opting for intimate long table settings at their wedding reception. 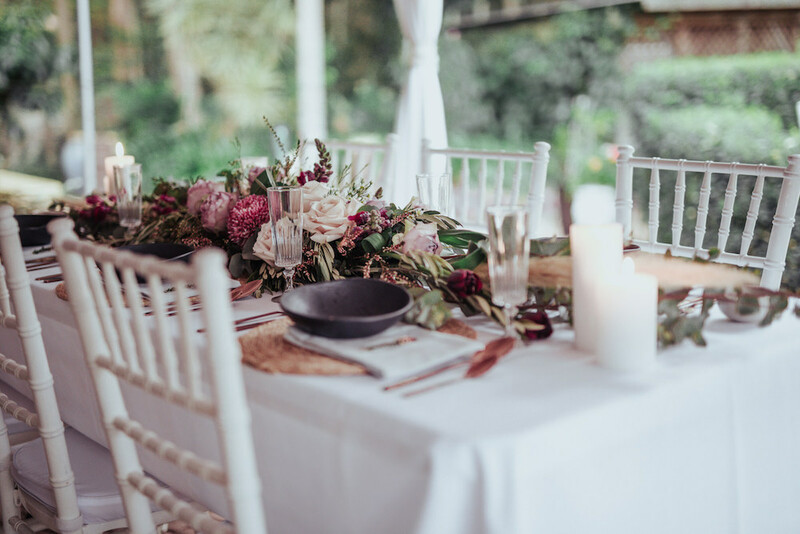 This table layout allows you to share a meal communal-style with loved ones, and always creates a warm, fun atmosphere throughout the evening. 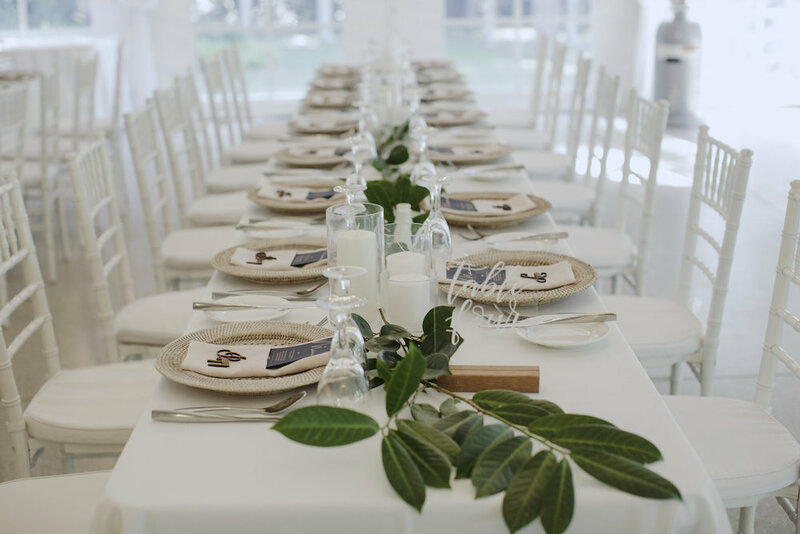 You can read our top tips for choosing the perfect table layout here! 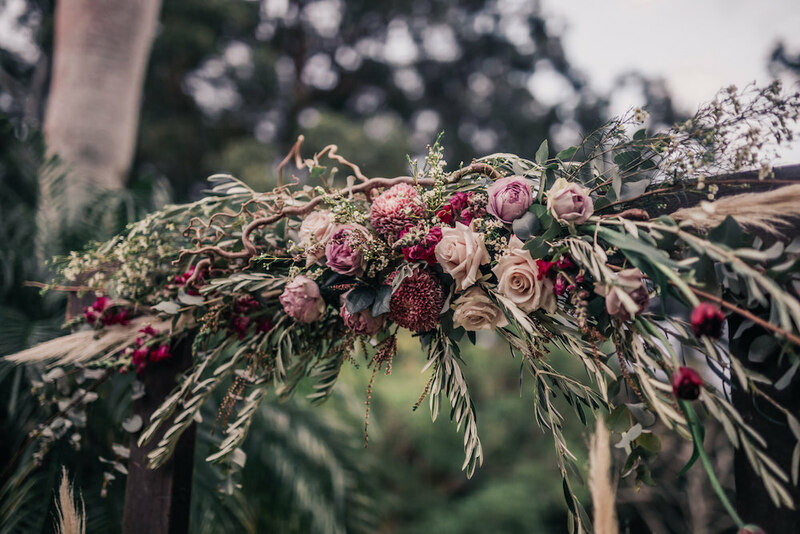 This year’s Royal Wedding has certainly inspired many couples to opt for clean, simple and refined styling. 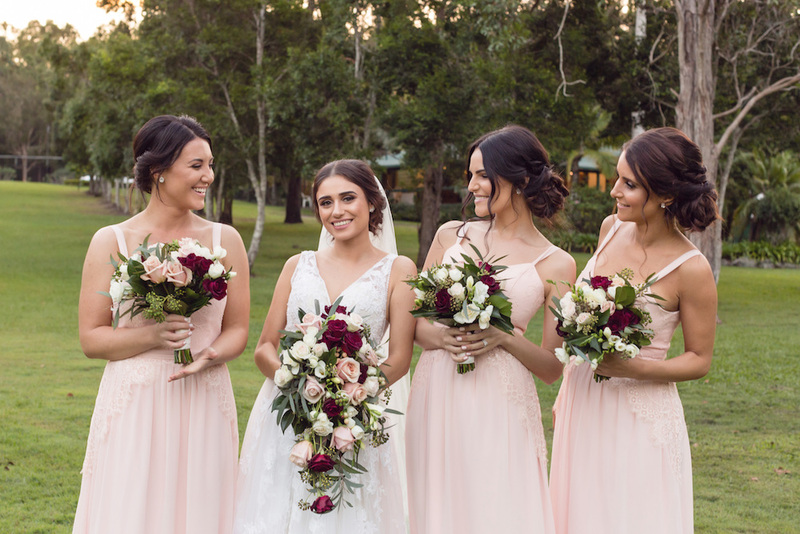 We’re expecting more brides to tone their wedding look down and keep things clean and classic. 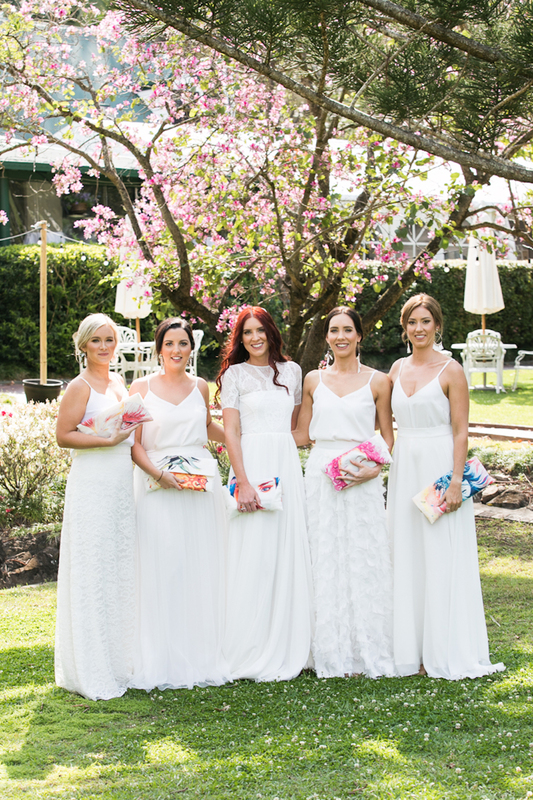 Think: minimal wedding dress designs, lots of fresh whites and greens, elegant updos and sophisticated styling details. 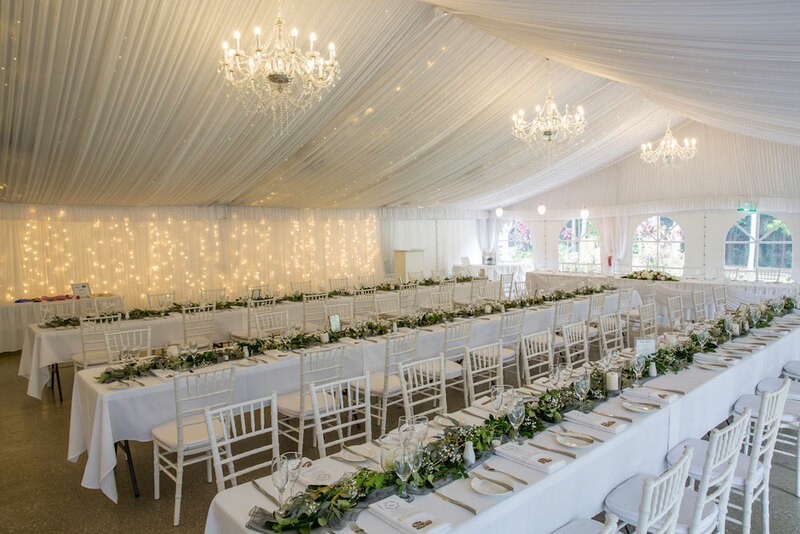 This wedding style also works perfectly with our sweet stone chapel and classic white marquee! 2019 is definitely shaping up to be another amazing year of celebrations. 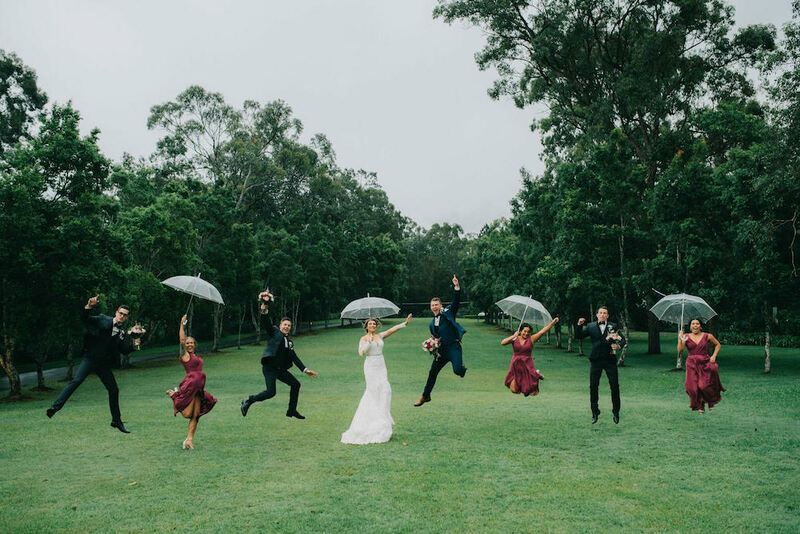 If you’re currently planning your 2019 wedding and looking for the perfect Gold Coast wedding venue, why not come in and tour our hinterland estate in person? 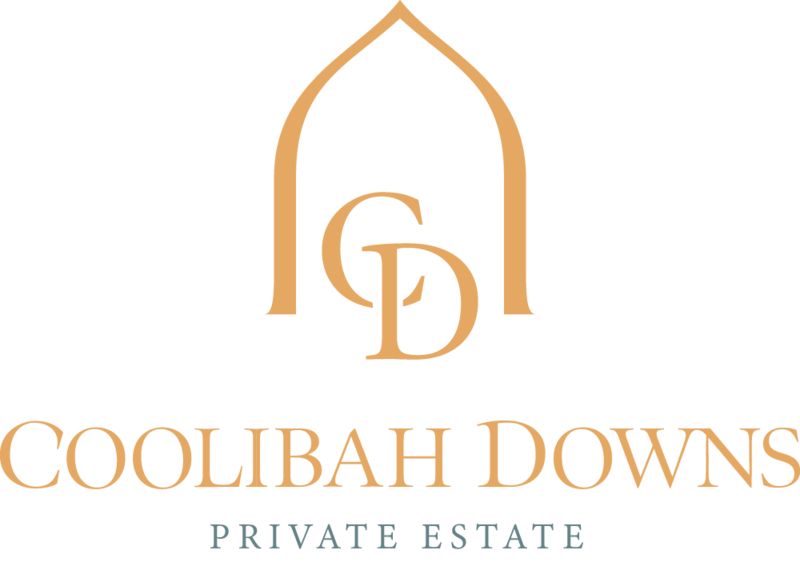 We’d love to welcome you in for a bridal appointment to hear all about your big day. 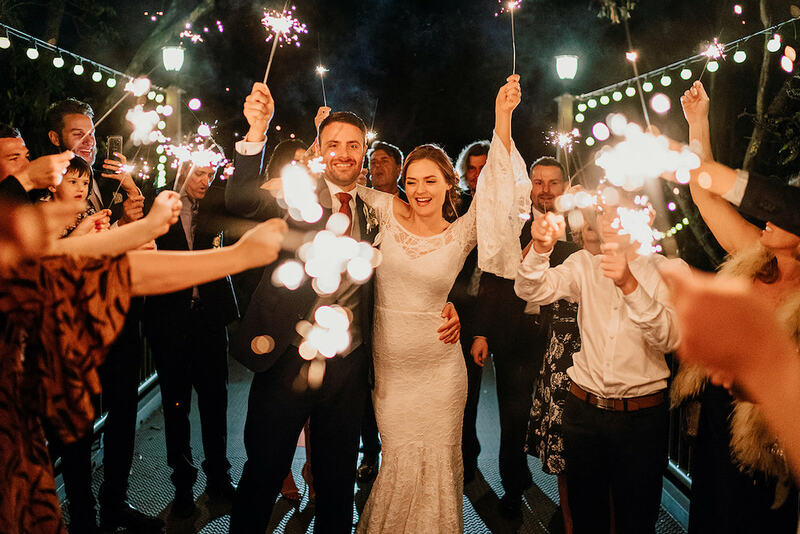 You can also download our wedding packages to get started, or see our latest real weddings on the blog!